Auto Spanish Diesel is based on a unique strain which evolved in the Valencia area of Spain. Its origins are not fully known but it is believed to be a cross of Amnesia haze and New York City Diesel. 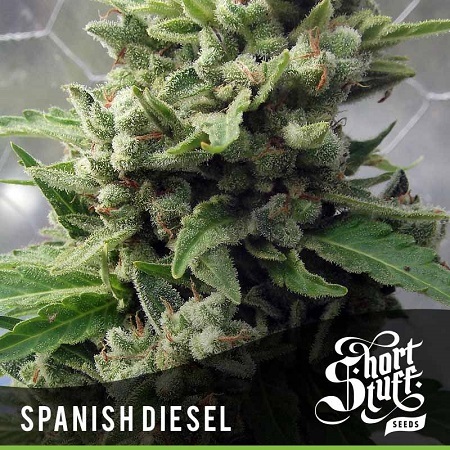 Auto Spanish Diesel Feminized Cannabis Seeds by Shortstuff Seeds: Auto Spanish Diesel is based on a unique strain which evolved in the Valencia area of Spain. Its origins are not fully known but it is believed to be a cross of Amnesia haze and New York City Diesel. This much admired hybrid was taken by our breeders and crossed with our auto-line to create an incredible new cannabis strain. 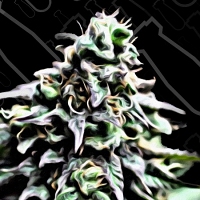 Auto Spanish diesel grows very quickly and pushes out multiple branches very early on in its life. Its Stretches out into a Christmas tree shape and will rapidly outgrow the other autos in your grow room. To start with she may look fairly skinny due to the rate of growth but soon enough the buds will fill out and you will see multiple elongated colas. 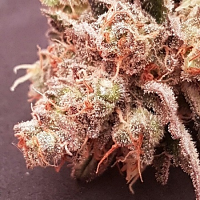 By the time you get to harvest you will have a very large plant covered in greasy, resin coated buds which give off the famous ‘fuel-like’ smell, well as the stink of diesel you get a wonderful orangey tang which fills the room every time you brush up against the buds. Once dried, the buds have a lovely tight structure and when cracked open release a wonderful aroma. The smoke is expansive with a tangy, zesty flavour which really hits the taste buds. 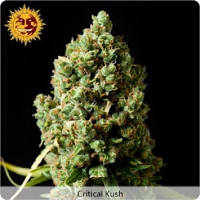 The effect of auto Spanish diesel is a great combination of sativa high and indica stone. 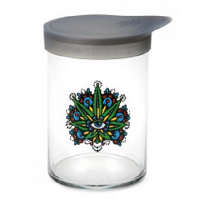 The smoker initially experiences a creeper buzz and mild euphoria which will lead to a deep stoned feeling with further use. 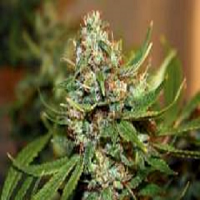 Auto Spanish diesel is another very easy to grow strain which will perform very well indoors or out. Due to its multiple branches it works very well in a SOG setup and can produce very impressive yields. Auto Spanish Diesel is part of our Boutique Line of cutting edge Autoflowering cannabis genetics. The Boutique Line contains the most up to date autoflowering genetics which are pushing the boundaries of what can be done with autos. 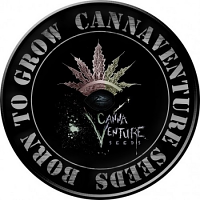 All the strains in the Boutique Line are big, tall, heavy -yielders and have been produced’ in-house’ by Shortstuff’s master breeders. Effect: Initially a creeper buzz, euphoric evolving to a deep stone with further use.